Glad to see I'm not the only junkyard dog out there. 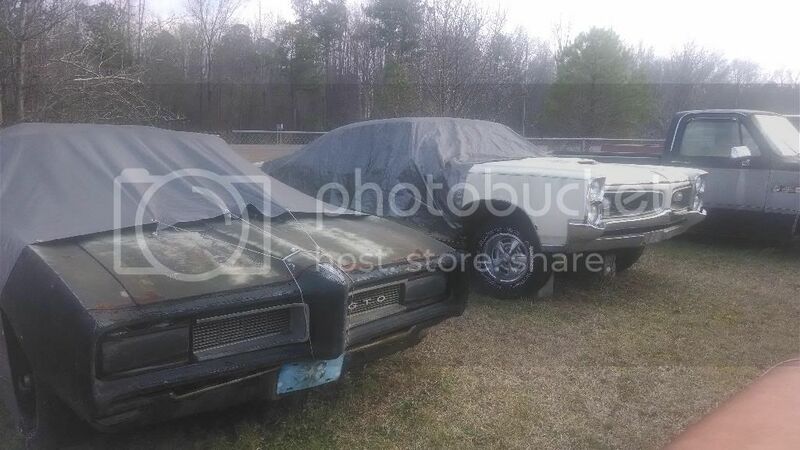 I saw a 51 Olds 88 and a few others at my local yard this past week. Let me look up my photos and post accordingly. I've been driving by Richard's classic junk yard in Denton NC for a lot of years and the gates have always been locked. I got a call from Scott_442 last week that he heard they were reinvigorated and back in business. So we hopped in the car Sat and went down to check it out. This place is a national treasure. I took over 100 pics in there. Here are a few! 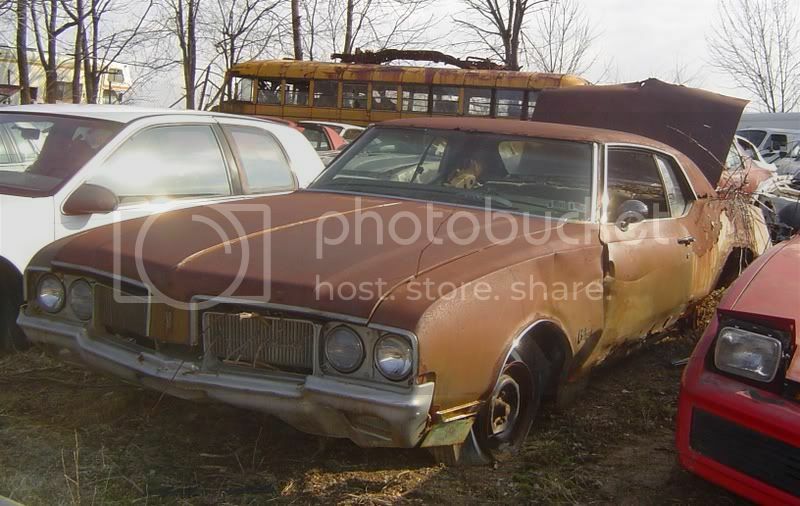 Quite a few nice Olds in here too..
thanks for the pics that's A GREAT yard may have to plan a vacation there! I was finally able to convince the owner of this yard to let me browse! 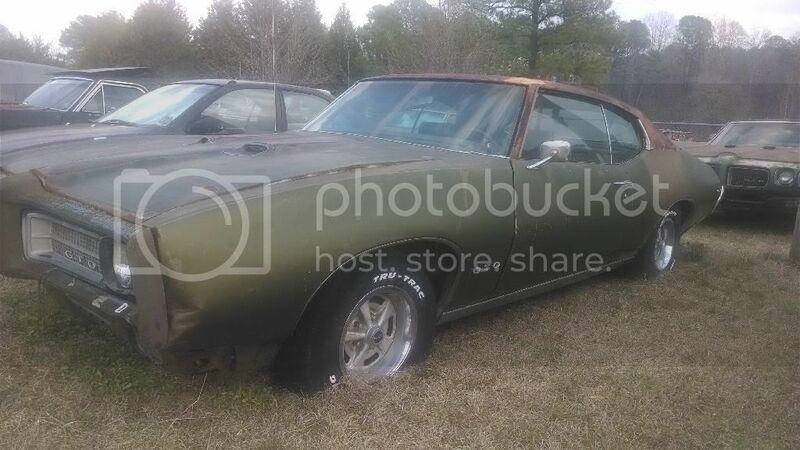 I was looking for sway bars, but scored a complete, black center console with shifter and harness(auto) out of a '70 Cutlass. I also got a clock for my Delta! The first time I tried to get a tour I was told no due to insurance regs, but persistence pays off! I don't understand how those yards in other parts of the country are "pick n pulls"? Guess it's time to "Escape From NY"....the guy drove me down in a beat up old Saturn Wagon, then let me out and said, "when you're done, just walk back up"....AWESOME! By the way, I will be going back! When was the last time you saw a Marathon Checker Wagon? Great Find. I could spend days in there! These are some outstanding pics and stories. Does anyone know about the website dedicated to these types of finds? 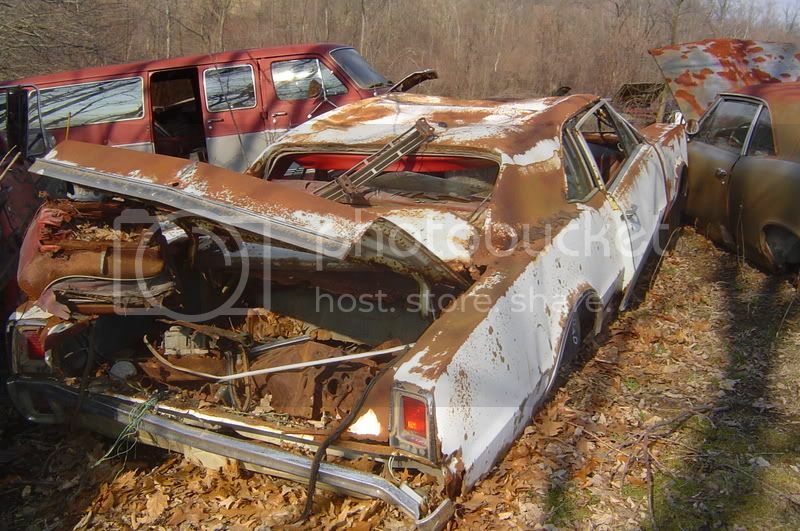 It's called CarsInBarns.com. It covers all vintages. 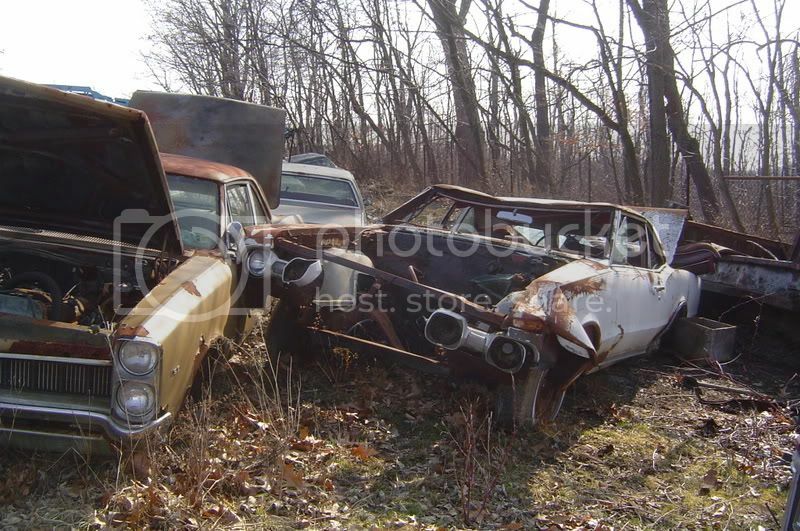 The Chevy section includes Olds, Pontiacs, and Buicks. 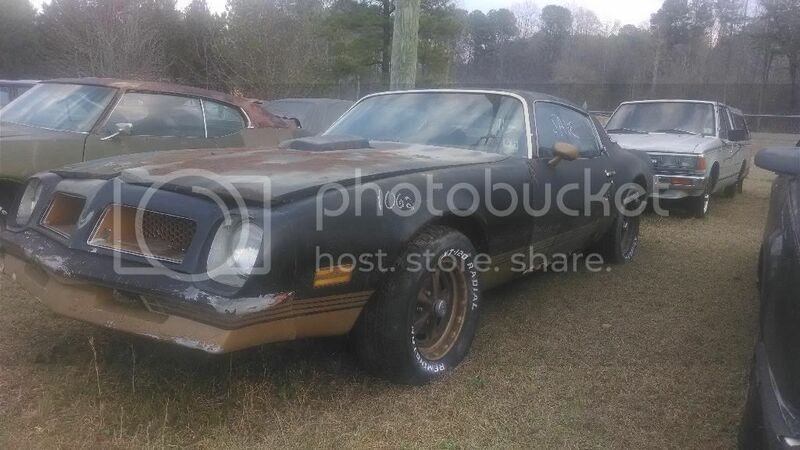 There have been some really cool Olds treasures that have been photographed, as well as lots of other really neat makes/models. How many of you have asked the owners about selling some of these cars and have heard the response, "No, I'm going to restore it someday." One that came back from the dead! 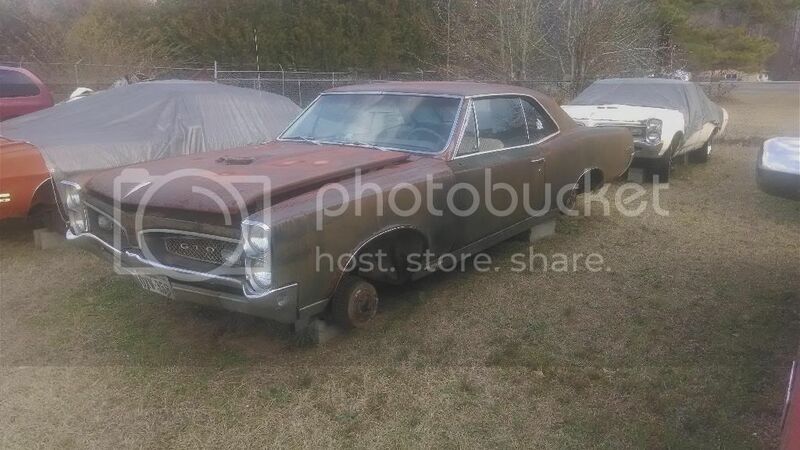 is that a 64 cutlass and was that at junk year dogs ??? I know she's too new to be a classic and too classic to be new, but it's been a nightmare finding parts for my '89 Custom Cruiser. Somebody thumped her rear bumper last week (destroyed their Camry's front fascia while just leaving a small divot in my bumper) and it got me slightly panicky when I realized that she has a TON of CC-exclusive parts that'd be near-impossible to find. We're talking every part of her two-way tailgate, side windows, light surrounds, etc. So please keep an eye out for donor cars for all of us with mid- and late-1980s cars (wagons especially) while you hunt for W30s and 442s. They can't ALL have been demo-derby'd, right? Last edited by auto_editor; October 11th, 2013 at 02:35 PM. From a friend on another board .. a small bone yard in middle canada is closing up .. might be the last chance to save what inventory can be had. This 50? Chrysler was all there and insp sticker was from NY. 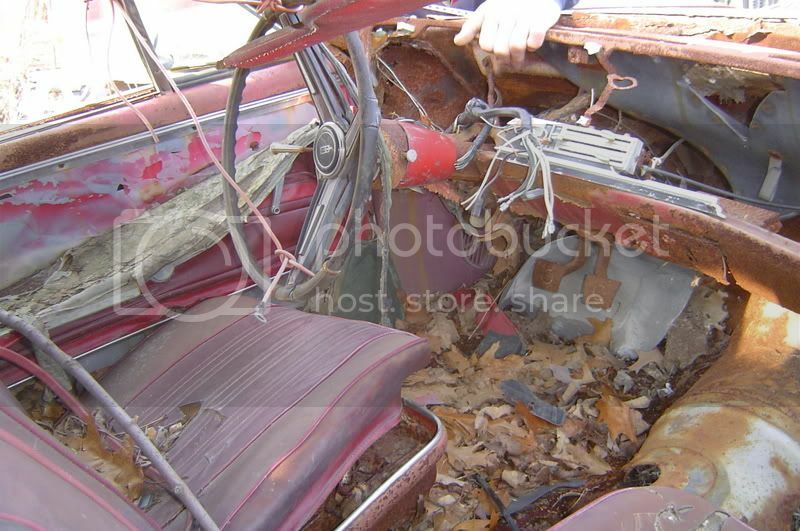 It couldn't have been driven much in the winter as there was very little rust. This old 39 had seen better days. It sits outside a Rod Shop. There were a lot of other cars under tarps I would have liked to see. 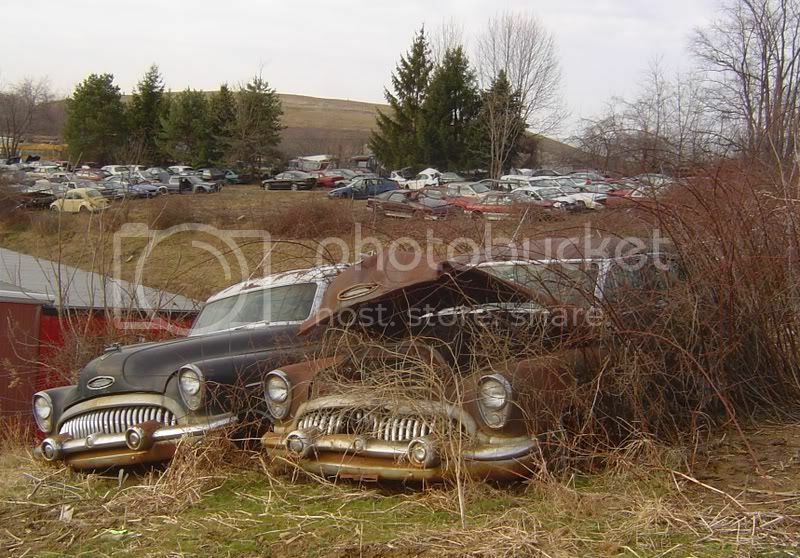 At the now defunct Arden Auto Salvage near Washington, PA in March 2007: that was a great yard..a little trivia question the white '67 was a 442---how can u tell?? 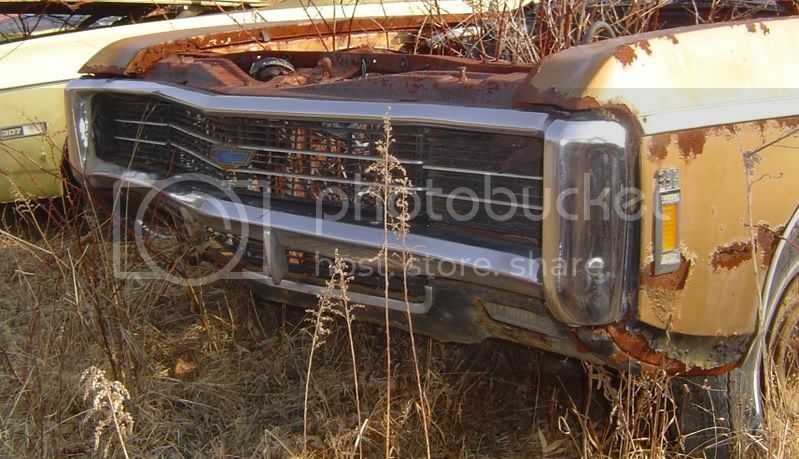 The headlight doors were'nt notched around the grille bar. 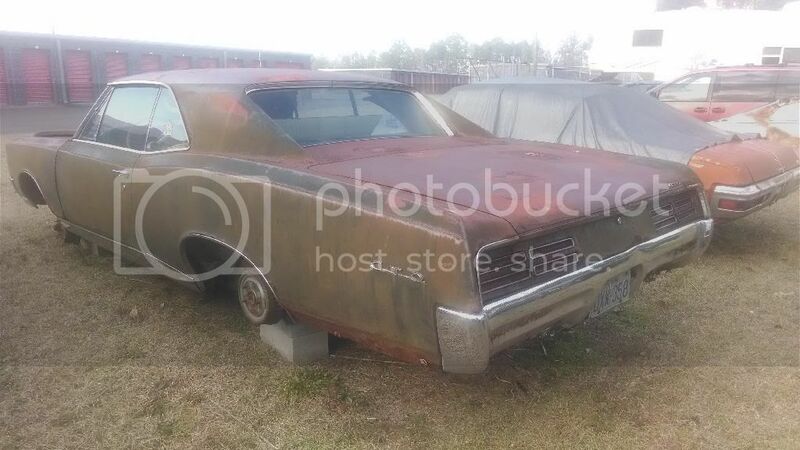 Along with the headlight doors, the tail lamp bezels are black, not silver, and you can faintly see where the "442" script was on the trunk lid. That white 67 is more then a 442. Notice the w30 scoop cut outs in the rad support. 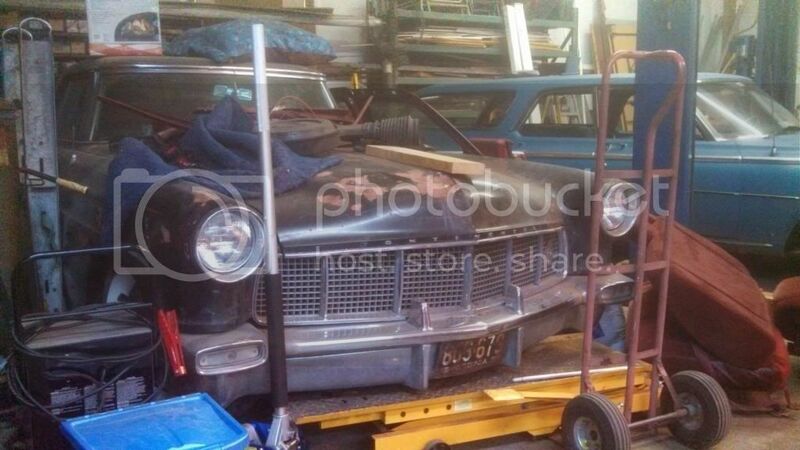 Last edited by barnfind; March 27th, 2014 at 07:38 AM. 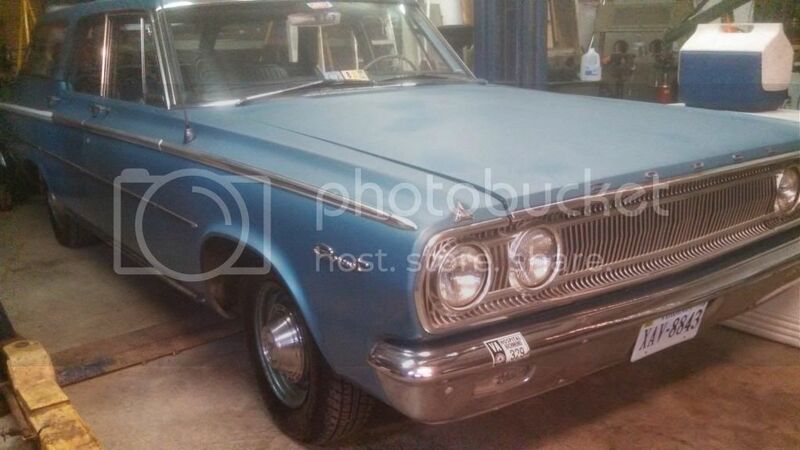 This is a nice little old lady coronet with 52k orig miles. He had it in the shop to replace the heater core. Last edited by Sampson; January 11th, 2014 at 05:52 PM. That's a lot more than a 56 Lincoln, it's a 56 Lincoln Mark II, car had a window sticker of 10K when it was new and very exclusive. Every body part and piece of glass from the firewall back interchanges with all 80-90 B body GM wagons. 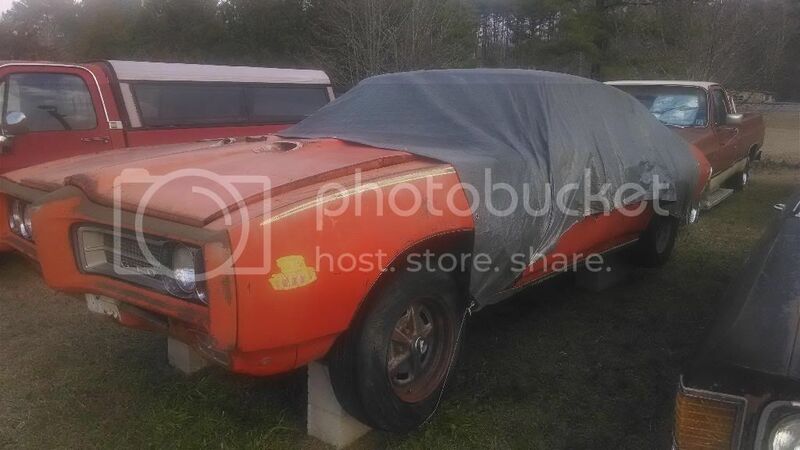 Rear tailgate and rear bumper will go back to 77. Front sheet metal is exclusive to each division. I predict 50 years from now you'll still be able to find them in Tx. riding some back roads yesterday and came across these old dogs outside a shop in Youngsville NC. I could visualize that old Plymouth as a period dirt track racer. Not much left good to pic on the Olds. Riding some back roads yesterday and came across thes old dogs. I have been driving by this group of cars for a couple years now. They are located at a storage type facility. There is never anybody around and no signs with phone numbers. Some of the cars have changed since I was last there. The Trans AM is new and there used to be a 69 Chevelle SS that was gone. 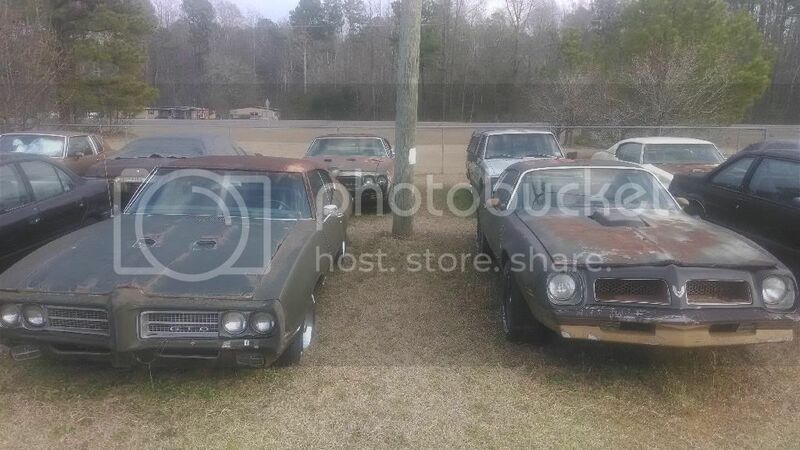 The guy seems to be into Mostly Pontiacs. I have been exploring backroads and yards for a longt time and 2 weeks ago came across this incredible yard in MO. We are working on a list and will have pricing from the owner soon. The 58 Fiesta is sold.